WASHINGTON — Fiat Chrysler will pay more than $650 million to settle allegations that it cheated on emissions tests involving more than 104,000 Jeep SUVs and Ram pickup trucks, a person with the knowledge of the settlement told The Associated Press on Wednesday. The Italian-American automaker will be required to pay around $311 million in fines to the federal government and California regulators, according to the person, who wasn't authorized to discuss the settlement publicly and spoke to The Associated Press on condition of anonymity. Under the deal, the company will also need to pay about $280 million to compensate vehicle owners — resulting in payouts of about $2,800 per owner — as well as another $72 million to settle claims made by other states, the person said. Federal officials allege that the 104,000 Jeep Grand Cherokees and Ram pickups, made between 2014 and 2016, were equipped with diesel engines programmed to run pollution controls during lab tests that would turn off under certain conditions on the road. 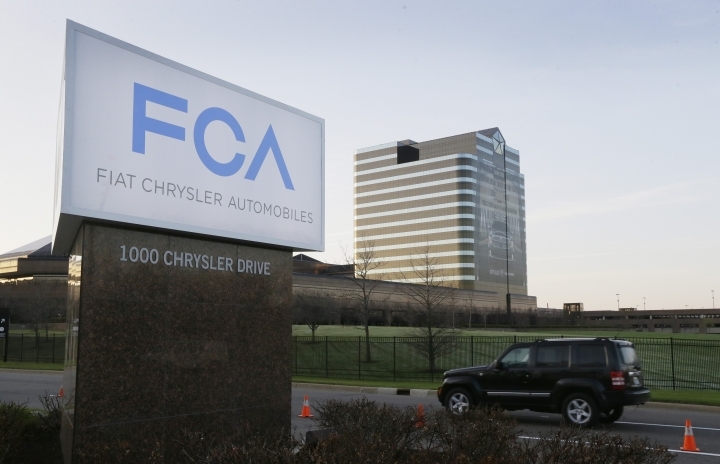 Fiat Chrysler will not admit wrongdoing as part of the civil settlement. The company has said its software met all legal requirements and it didn't intend to break the law. An attorney for the company did not immediately respond to a call and email seeking comment Wednesday night. The settlement, which is expected to be formally announced Thursday by the U.S. Justice Department and the Environmental Protection Agency, is the second between the U.S. government and an automaker over diesel emissions-cheating allegations. The Justice Department also opened a criminal investigation into Fiat Chrysler's conduct, and several state attorneys general also were investigating. In last year's third quarter, Fiat Chrysler, also known as FCA, took an $810 million (700 million euros) charge to deal with possible U.S. diesel emissions settlement costs, cutting into the company's profits. The U.S. Environmental Protection Agency first accused FCA of wrongdoing in January 2017 when it issued a notice alleging the company violated the Clean Air Act with excessive emissions of harmful nitrogen oxide. Four months later, the Justice Department sued on the EPA's behalf alleging that software on diesel engines allowed them to emit more pollution on the road than during EPA lab tests. The government accused FCA of putting eight "software-based features" on 3-liter V6 engines that powered the Jeep and Ram vehicles. FCA failed to disclose the software during the process to become certified so the vehicles can be sold, according to the EPA. The agency called the software a "defeat device" that changes the way the vehicles perform on treadmill tests in a laboratory. "Each of these vehicles differs materially from the specifications provided to EPA in the certification applications," the government said. FCA contended that unlike VW, it did not install the software with intent to cheat on tests. The software turned off the pollution control system under extreme circumstances such as climbing mountains in order to prevent engine damage, which is allowed under federal regulations, FCA said. The federal lawsuit sought civil fines of over $4 billion, as well as court orders stopping the company from making or selling vehicles with undisclosed software. At the time, FCA CEO Sergio Marchionne denied any wrongdoing and said the EPA was blowing the issue out of proportion. Marchionne died last year.